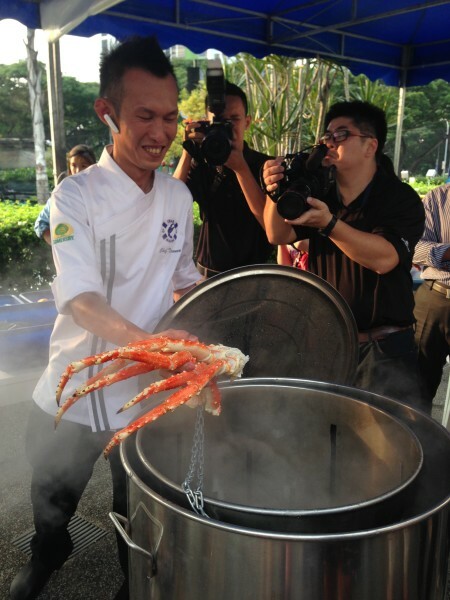 On Oct 4 from 2 to 5pm, in honour of Crab in da Bag’s first anniversary, seafood lovers can look forward to great food, music and fun at the first and largest outdoor seafood boil in Singapore – Crab in da Bag’s famous Caboodle Boil. A sight to behold, the giant-sized version of Crab in da Bag’s much beloved seafood dish will make its grand debut in a six-foot long, custom built boat. The Caboodle Boil will feature a range of premium shellfish such as lobsters, crabs and yabbies’, with globe artichokes, sweet corn and Bratwurst sausages. Other new menu items available on the day will include fresh live Kumamoto oysters from Japan, Mum’s Special Chix Wings and specially-seasoned house fries. Put on your bibs, it’s going to get messy! There’re no plates, no spoons and no forks. Just to-die-for seafood that’s guaranteed to titillate your taste buds and satisfy your tummy. Crab in da Bag’s Caboodle Boil is a larger-than-life seafood feast that aims to transport the lively atmosphere of Louisiana’s famous festivals to our sunny island. 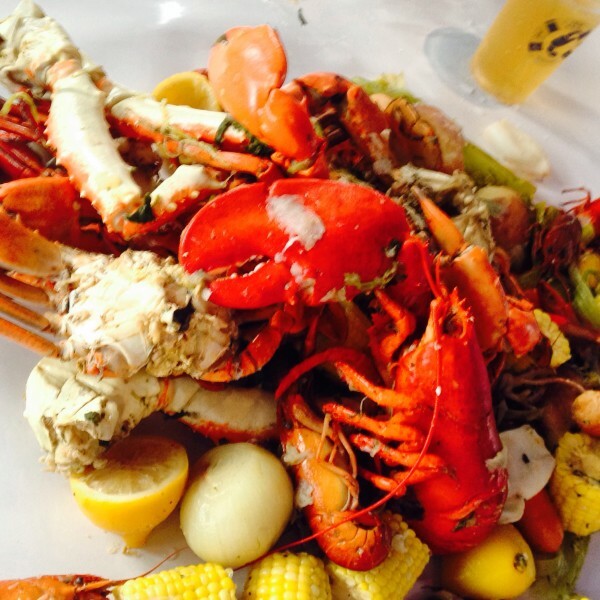 The seafood boil dining experience has been celebrated on a massive scale at Louisiana’s festivals since the 1980s. Strained from its delectable sauces and poured directly on the table, the popular Louisianan tradition is a timeless way of bringing together friends and families for merry dining. A.P Tan, founder of Crab in da Bag, encourages a unique, hands-on dining experience where diners inevitably leave aside their mobile phones and other electronic devices. Her mission for Crab in da Bag is to remind diners to appreciate precious moments with loved ones. The seafood is sourced from all over the world to ensure freshness and quality. Unlike most other seafood restaurants with seasonal prices for their seafood dishes, Crab in da Bag is unique in that its menu prices are fixed. Adding to the festivities, Crab in da Bag has also invited guest Chef Louise Leonard from New York – winner of American television’s ABC’s The Taste Season 2. An advocate for pairing craft beers with her dishes, the food stylist and chef will demonstrate the cooking process using two “titanic-sized” boils during the festival along with A.P Tan and Head Chef, Terence Lim. Crab in da Bag also believes in providing a way of life and opportunity for everyone, including the hearing impaired. In the restaurant’s effort to provide meaningful opportunities to aid the less fortunate in their school fees and daily financial expenses, the celebration will also feature craftwork handmade by such individuals in a collaborative project called Charity on Board. Rounding up the holistic list of events will be the launch of the Somersby Apple Tree Lucky Draw, an engaging and entertaining way of introducing Crab in da Bag’s menu items to their customers. With every purchase of $200, diners get a chance at the Lucky Draw by flipping open an apple on a life-sized cut-out of a Somersby Apple Tree. Make yourselves available on 4 Oct and sail merrily to this unique seafood extravaganza at Crab in da Bag! Their signature Caboodle Boil comes in the Titanic Pot ($299, good for 3 to 4 pax), or the Gigantic Pot ($399, good for 6 to 8 pax). Address: 902 East Coast Parkway, Big Splash Block D #01-25, Singapore 449874.